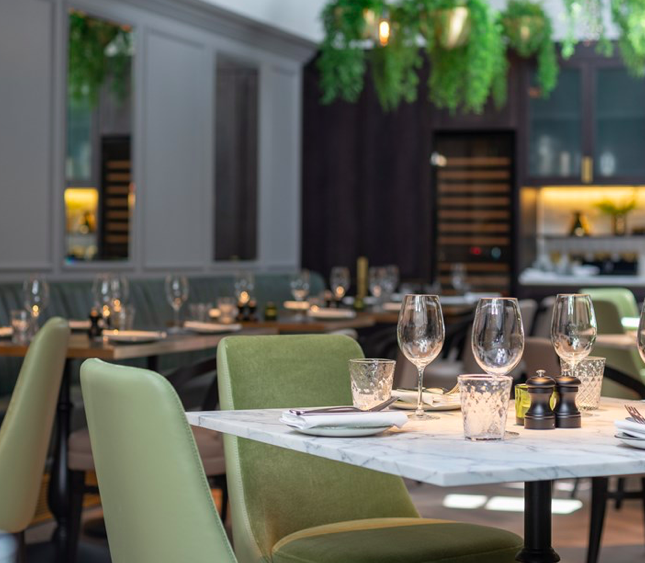 Stylish all-day restaurant Hans’ Bar & Grill is now open on Chelsea’s picturesque Pavillion Road. 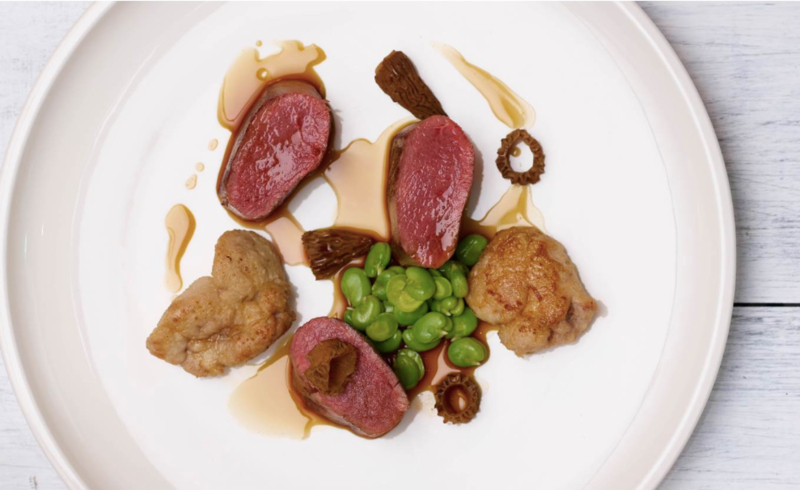 Part of 11 Cadogan Gardens Hotel, the newly opened 160-cover restaurant with Head Chef Adam England in the kitchen, has been referred to as ‘Chelsea’s best-kept secret’. Formerly a local Italian, the new stylish eatery is aiming to be a relaxed all-day neighbourhood restaurant. 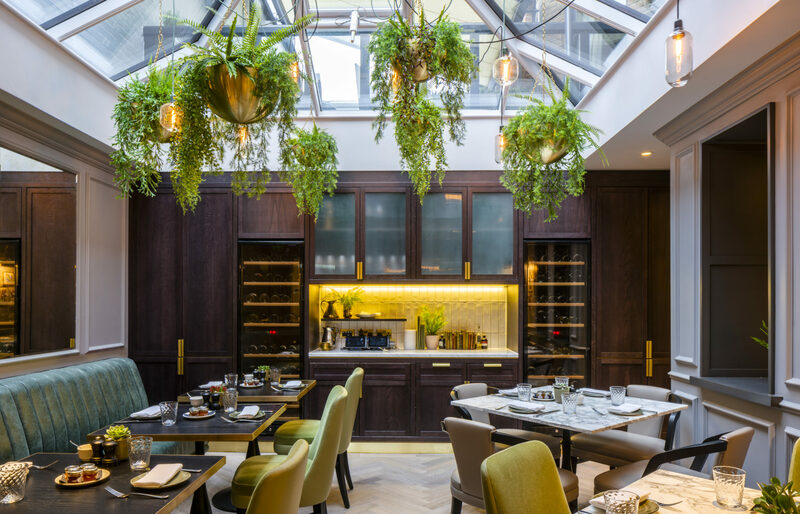 With a cosy yet stylish atmosphere, Hans’ is offering British food together with an impressive drinks consisting of more than 190 wines from around the world, in a traditional-meets-contemporary setting. The staff is welcoming, friendly and knowledgeable when it comes to both the seasonal menu as well as the impressive wine list (which is helpful). Highlighting the best of the British cuisine some of the popular dishes are the classic tuna tartar, burrata and Orkney scallops which are all excellent starters. There are several vegetarian options on the menu such as the chickpea and coriander burger and homemade herb crumpets. As the name of the restaurant suggests there are plenty of meat options for the grill and the grass-fed English sirloin is fantastic. For those of still have space left the dessert menu won’t disappoint and chocolate lovers can rejoice over the caramel chocolate pot whilst the banana cake serve with caramel ice cream & peanuts is equally nice. In addition to dinner Hans’ serves up breakfast from 7am with dishes like a classic eggs Benedict, fruit salads and honey porridge served with healthy and fresh juices and smoothies. Hans’ Bar & Grill is perfect for..
…business lunches, dinner dates and family dinners.